February 2017 - Stephen Hon ESBI - Which Quadrant Are You In? 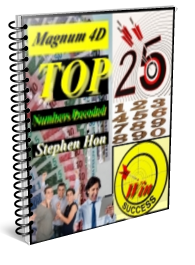 This ebook, contain top 25 numbers (included permutation) of Magnum 4D since 25th April, 1985 till 31st December, 2016. It also came with a bonus Analysis Chart where you do your own forecasting and prediction of new numbers that may come out in next following new draw. This Analysis Chart is originated from the same concept of 4D Charting 2 Win! Once you have the forecast numbers drafted out, you can compare it with the top 25 numbers to find suitable permutation numbers of the moment or to compare it with numbers that may have came out on 1st Prize, 2nd Prize or 3rd Prize chart. Then you can determine which numbers are suitable to bet based on your new forecasting numbers. 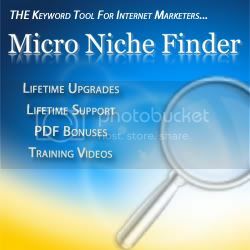 This will narrow down the numbers you want to target & eliminate the numbers you want to play blindly so you did not loose money on unnecessarily numbers. Goods sold are not returnable or No refund once sold. If your personal beliefs or religion forbid you to play these games, don’t get involve or buy this charting. As a user of this ebook, you are taken to have read, understood and agreed to be bound by this Disclaimer. You do so on your own initiative and are responsible for complying with relevant local laws. The author accepts no responsibility for any information that you access, accepts no liability for loss or damage (including, without limitation, any special, direct, indirect or consequential loss or damage or other losses or damages of whatever kind) that arises out of access to, or the use of any information contained on this ebook. Recently there is an active scam telemarketer on prowl looking for unsuspected victims, don’t fall to this dirty act. It is from this number 0392018118 or (03-92018118, (03-9201 8118) claiming to be from RHB Bank. When I check my phone today, I saw a SMS stated I have voice msgs from this number. So when I dial 1313 (Celcom) to retrieve this messages. The operator system said that its regarding RHB Bank Credit Card that have pending transaction of RM 3972. Then the operator said, press 1 to approve transaction, press 5 to repeat & press 9 to operator assistant. It said from credit card center (the numbers is not belong to RHB call center) Another thing is I have terminated the credit card with RHB a few years back. I never give (RHB bank) the number that telemarketer have called. The number I have in RHB bank is another number. Bank normally did not call for any pending transaction, their security system will SMS you about any transaction with their call center number. You are the one need to call the bank if you suspected the transaction is fraud and non activated by you. Not bank calling you! The women voice seem like foreigner not local lady. Then the next thing I did is “Ask Google” Google knew everything right? I google “0392018118 RHB” then it lead to the answers I want. I manage to get hold and embeded here the recording message. It is recorded by some net user that received the same call. Click Play button to listen to the recording message. So be careful not to release any personal information or password. Read at what other have said about this. What you able to see and win later will be your luck. Different people see different set of numbers. What is your “Prosperity Number? 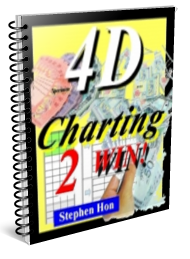 4D Charting 2 Win! This is a simple easy to use 4D chart. New forecast numbers of coming new draw can be generated. Suitable to be use on these following games. Who don’t need this chart? If your personal beliefs or religion forbid you to play these games, don’t get involve or buy this charting. Why? After you get the chart and build the new forecast numbers, you cannot buy the tickets anyway because it is “illegal” to you. “I did not play all these games!” Good! Not playing is winning all the time…. Well, what else can I say? “I already have my own winning formula” Good! That all you need! 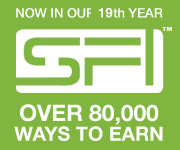 “I am looking for 100% winning formula” If there is one, keep on looking. If you have found one, you 1st share it with me. In reality is… if there is one… most of the listed games companies above have been bankrupt! Every players in Malaysia & Singapore (or the world) all millionaire. Each time buy, everyone win, no one losing ! If this the scenario you wish to see then where these companies find funds ($$,$$$,$$$) to pay for your winning prizes? If you are a lazy person and think that it is troublesome to track each draw numbers then its not for you. You need to do your own homework to make this chart work best for you. There is no such thing as “free lunch” If there is, you need to be in the restaurant to take this treat. No luck for you if stay at home lazy to go. If you can go to any number outlets, blindly write out any numbers, go as big as you can then back home relaxing waiting for the end day draw result. Each time you received the result on smartphone, all your numbers will hit any prizes! If you are this kind of person, I admired and respected you as your guardian angels always by your side to help you win big! For what reason I developed this chart? I am a player of da ma cai, Magnum 4D and Sport Toto for many years. Win some… but lost many, many, many times. Based on credit / debit ledger I have keep several years back I lost more than I have won. So the saying “No Gambling Is Winning All The Time” is true. There is another saying “If You Never Gamble, How You Know You Have Luck Or Not” This is true too. By buying some numbers (betting) in their outlets, will not 100% guarantee you will be a millionaire overnight. Not buying your chances is zero (0 %) That is. There are people out there can won any numbers they bought, no need forecast, no need analysis, no need to pray, nothing. The amount to be won is not small either. Mostly big amount or maybe million of ringgit. How can they have such luck? Are you of of them? If you are not, maybe it time to take a look at the chart I have created. Just because I am not one of the super lucky person and I did not have any guardian angels to help me I have spent some time (many months) to think over and I finally came out with this simple chart just to help me to do my own analysis on new numbers forecasting for next coming new draw. I put this up as ebook to help people (or players) to do their own charting if they interested. This can help you to narrow down the numbers that you going to buy or at least not blindly to shot at any numbers that will never come out. After put in some several months of analysis and projection, I can admit that “there are some numbers” will never ever come out for 5 years, 10 years or so. If you are this person who buy this same numbers for years, it is destined that you will keep on loosing money.